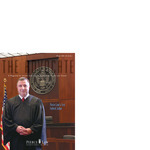 University of New Hampshire School of Law, "UNH Law Alumni Magazine, Winter 2004" (2004). UNH Law Alumni Magazine. 20.